Things haven't quite been the same around here since my 90-year-old mother had a stroke on August 23rd. I have spend many days and much time, as has my sister, Jane, dedicated to her care and recovery and making her days delightful as possible. I'm hoping since my mom is doing better, and things have quieted down a bit I can get back to some blogging. I have really enjoyed viewing others blogs and the creative ideas they display. Such creative people there are in this world. Thank God! 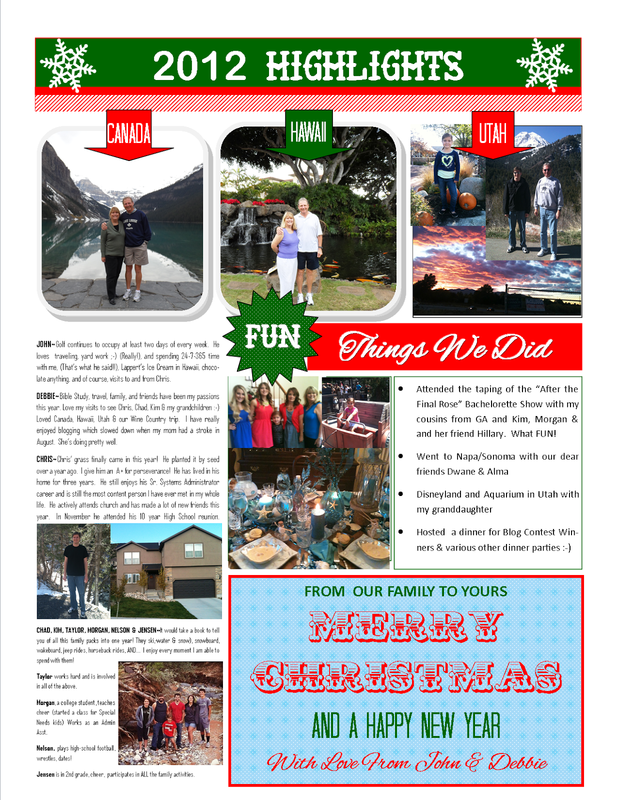 I am attaching my Christmas Newsletter for my blogsters and pray that you all have very delightful Christmas' and New Years. I hope to bring you many delightful pages in 2013. God Bless you!